I was in Central Park on a snowy Saturday morning with my friend Charles Chessler. He had rallied several of his friends to go birding and photographing birds through a Facebook invitation. I love walking or riding my bike in Central Park. Charlie has great charisma. People and birds just love to stop, chat, and pose for him. I’d gone out birding with Charles a few times before. On this trip we were searching for some rare long-eared owl in the pine trees near the Angel of the Waters. But instead, on that branch, we spotted a fat and still-hungry hawk. We spotted a lot more than that too. We go birding in Central Park behind the cafe, across the Bow Bridge, by the Ramble. 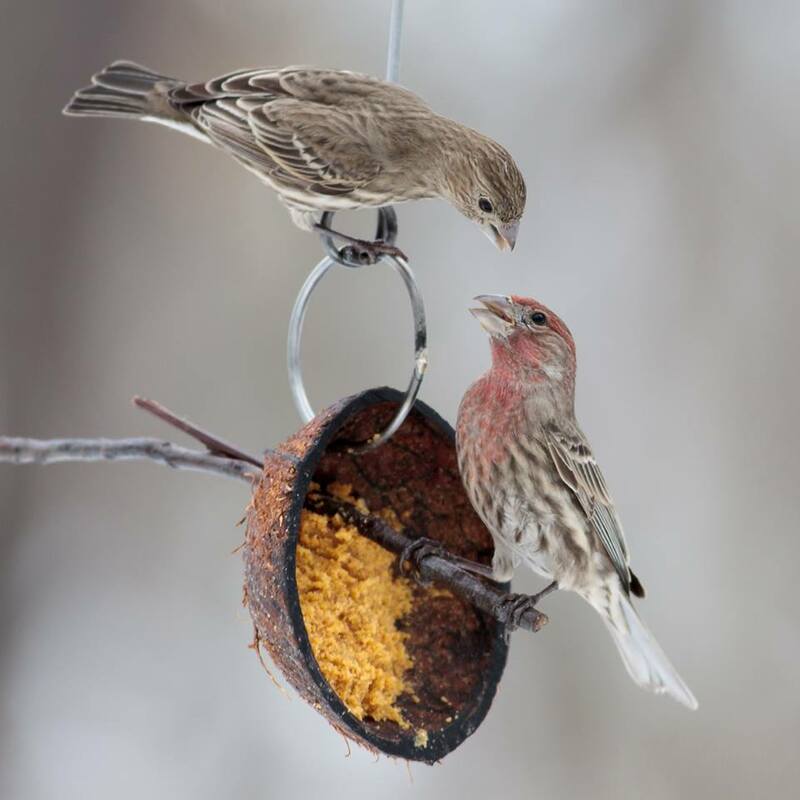 For the record, I could not identify any of these birds (except maybe the cardinals and blue jays) without help from Charlie and fellow birders and photographers Dan Lane Williams and Amanda Bielskas. 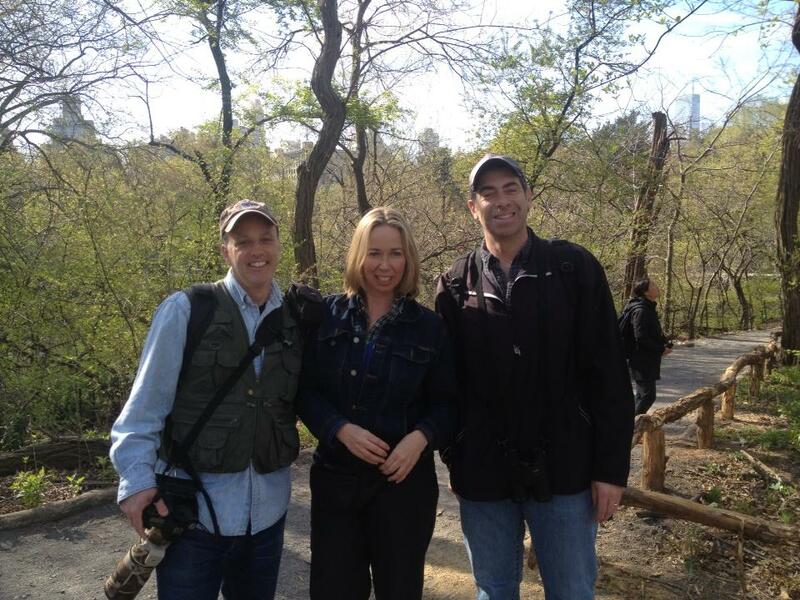 On previous birding jaunts, we met Birding Bob and friend Andy Gershon. 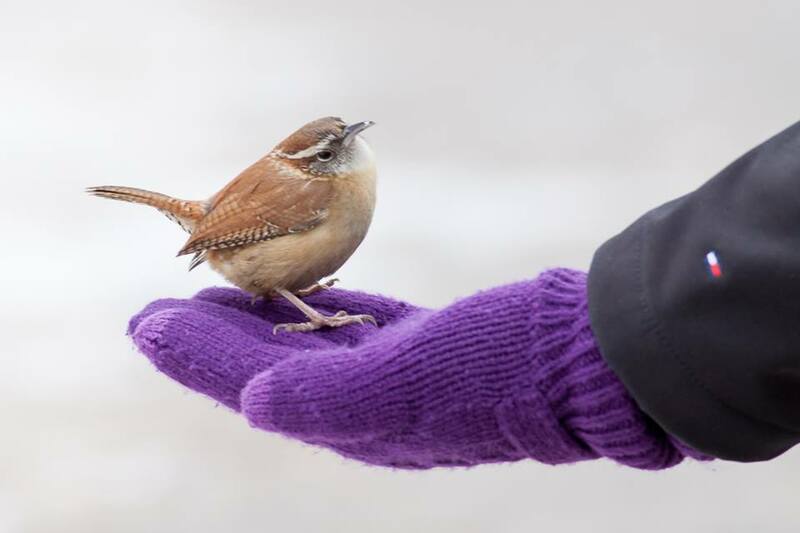 Going out for a walk with birders reminds me to slow down, take in the beauty, stop time with a photo, even if it’s cold and snowy — especially then! There’s beauty and hope all around. You just have to look for it. If you like the beautiful photography of Charles Chessler, (and who doesn’t?) I have a request. Chessler is entered in a photo contest. If he wins, he gets a trip to a safari in Namibia. He is less than one thousand votes away. He needs 212 Votes to pop into 4th place! Charlie and I are friends from the NYU Stella Adler acting school in the ’80s. He’s a fitness trainer with a specialty for keeping senior citizens active. Charlie and I bumped into fellow birder Andy in the fall. These close ups of the birds are sooo awesome!! I voted, which was when I learned that you and my mentor from NYU’s Tisch in the 80s both know Charles. Fingers crossed for him!